Neil Young? There's an app for that. 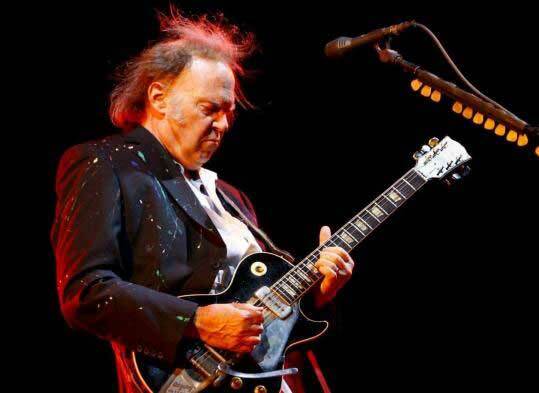 On Facebook today, Neil Young announced not only a new album, aka a collection of tracks you can buy on vinyl, CD, Blu-ray and iTunes, he announced a forthcoming iPhone app and iPad app to accompany the downloaded version of the songs. The new album, a solo record, is called ‘Le Noise’, and has a release date of September. Rolling Stone quotes the producer, Daniel Lanois, as saying “”We cut a couple of solo acoustic songs, but the rest is very electric.” So in Young genre parlance, it’s going to be a little bit Hawk, a little bit Dove. Neil might have been around for a while, but he’s never one to have sat still. Musically back in he day was one of the only long-established musicians to ‘get’ punk rock. Technologically, he embraced the internet quite early in the piece, and he – infamously – held back his long-awaited Archive recordings until he felt that the technology was available to best present the sound, which was Blu-ray. Previous ArticleThe NBN – why we need it. Now!